It’s a hattrick for Dave McKenna when it comes to playing in the 18th Annual Canada Life Wendel Clark Celebrity Classic in support of the MLSE Foundation. While the famed forward collected 13 hattricks including three against the Detroit Red Wings, in his 16-year, NHL career, McKenna completed his improbable threepeat sweep on June 11 at Glencairn Golf Club to make it three years in a row that his team has won the event. With three new line mates in tow, and some backup from former NHL greats; Mike Gartner, Dale Hawerchuk and Dave Ellett out on the links, McKenna and his crew went to town. They won a thrilling 100-yard closest to the pin shootout victory that featured the top-five teams going toe-to-toe, just like Wendel likes it, after 18 holes of play on a picture-perfect day for golf under sunny skies. “We came to play today and picked shots where we needed to. The key to getting into the shootout was using everyone’s shots when we had the opportunity and having everyone contribute,” says McKenna, a die-hard Wendel and Toronto Maple Leaf fan who plans to return next season with a different group of clients to go for four victories in a row. After start with a couple of pars, they turned it on to get to 13-under – the low round of the day. “The shootout is a lot of fun. I have done it three times in a row now and my shot has been closest for the first and third victories. There’s a little adrenaline rush out there. You don’t usually have a lot of people watching me, so to have a crowd watching the shootout is exciting,” added McKenna, who mailed it to 25 feet for the win and $500 in ClubLink gift cards for each member of the team – Sonny Sagoo, James Jesty and John Mackay. In a field of nearly 200 competitors, the shootout featured two players from each of the top-five teams. There was supposed to be a sixth team, but they bailed early and none of the qualifiers were complaining. Most of the teams had at least one person hit the green, but it’s tougher than one might think. Second place went to a team from Glendale G&CC thanks to a great shot from Tony Belisario, while his partner, Lou Arcari chunked it, but took it all in stride – after all, the group including; George Carvalho and Richard Hrynik went home with $400 each in ClubLink cash and some great memories. 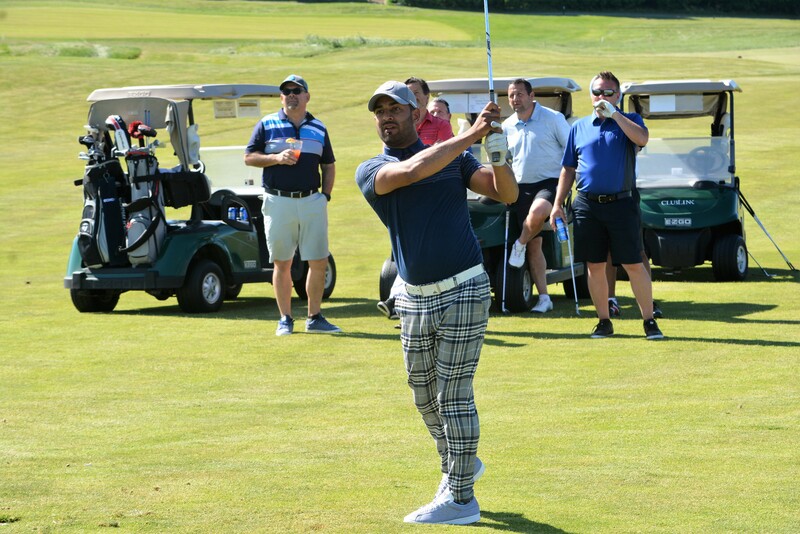 The third-place team; James Forte, Nigel Pallister, Derek Truba and Amarijit Tathgur, from RattleSnake Point GC settled for third with a distance of 30 feet from the pin to win $300 each in ClubLink gift cards. After taking off his sandals and teeing it up barefoot in the shootout and then chunking his shot in front of an unforgiving gallery, Lou is trying to put the shootout in the rear-view mirror, but that may only happen if he gets another shot in 2019! Former NHLers; John LeClair, Dale Hawerchuk, Al Iafrate, Dave Ellett, Brad May, Tom Fergus, Gerry Cheevers, Kirk Muller, Peter Mahovlich, Butch Goring, Bill Smith and Mike Gartner kept all of the guests thoroughly entertained. “It’s a lot of good fun when you come to this event. The golf is fantastic, and everyone likes talking hockey or other sports. You certainly get lots of Toronto questions. It’s an exciting time for the team,” says May, who won a Stanley Cup with the Anaheim Ducks in 2007. “It’s great having the entire group here. There’s a terrific mix of familiar faces and new faces, but we all have one thing in common we love to chat about hockey while playing golf,” said Clark, whose son Kody, is a top prospect for the NHL entry draft on June 22 and 23 in Dallas. “This event has been going on for 18 years, three years longer than my NHL career – that’s pretty amazing stuff, Clark added. Over that period, Wendel’s event has helped raise over $400,000 from many charitable organizations and this is year-two with the MLSE Foundation. It believes all kids should have access to sport and the opportunity to both develop and pursue lasting dreams on the playing field. With the support of MLSE's teams, the Foundation supports the refurbishment of local athletic facilities and funds charities that support kids through sports and recreational programs. As part of its generous commitment to MLSE Foundation, MLSE directly funds the administration and staffing costs associated with Foundation operations. This contribution, along with an annual financial donation, ‎makes is possible for MLSE Foundation to achieve its mission to improve kids lives, through sport. Since launching in 2010, MLSE Foundation has invested more than $30 million into our community. 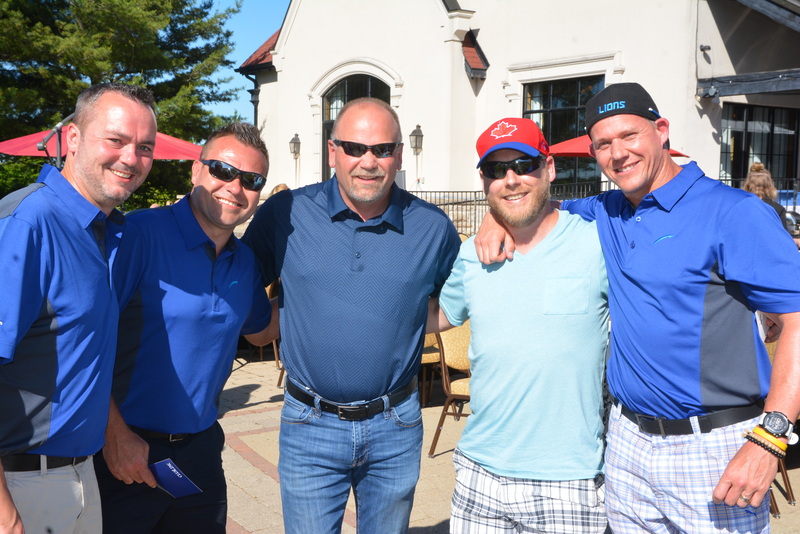 Last season, it impacted the lives of more than 125,000 kids and more will be helped because of the Annual Canada Life Wendel Clark Celebrity Classic. “For me, this event marks the start of summer and we’ll enjoy it because hockey season is just around the corner,” Clark concluded. 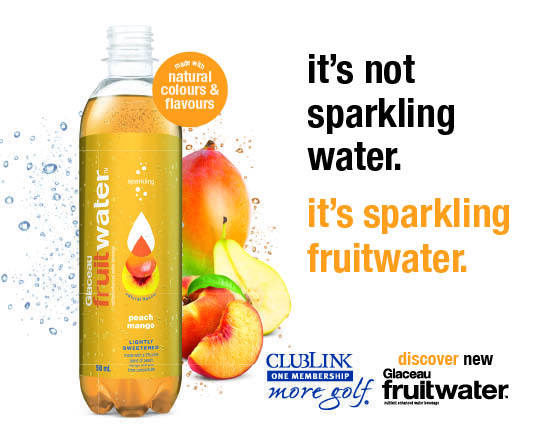 To find out more about ClubLink Special Events, click here.